The illustrations by Briony Stewart are stunning. Detailed and softly coloured, the pictures are full of life, and they invite you into this family's world, making you feel like you're part of it. These are illustrations with magic powers. They'll make you feel all warm inside and entice your hands to touch all the pages. 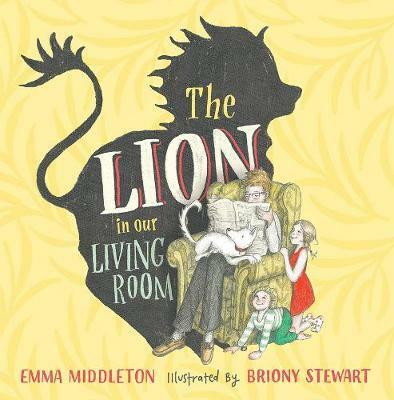 The Lion in our Living Room is a gorgeous picture book both children and adults will enjoy. Fun and engaging to read with divine illustrations, it will make you smile and spark ideas for new games to play with Dad (if the kids haven't already played them! ).